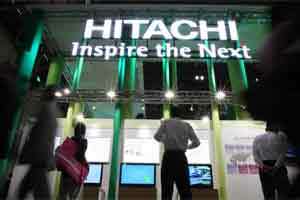 New Delhi: Japanese consumer durables firm Hitachi, on Thursday, announced the opening of its first research and development (R&D) centre in India as part of efforts to develop products based on local needs. The company said the development is line with its strategy to double its revenue in India to ¥200 billion ( ₹ ₹ 12,742 crore) in the next few fiscals from ¥90 billion ( ₹ 5,731 crore) in the 2010 financial year. The company said the R&D centre, which is located in Bangalore, will conduct research and development focusing on information and telecommunication systems and social infrastructure business. “In order to support the entry and expansion of Hitachi Group companies in India, the researchers will study local market need and promote market-oriented technology research and development to improve and enhance current products," it said. While the new Hitachi India R&D centre will focus its energies on India, it will later conduct research and development for other Asian countries like China, besides ASEAN nations and the Middle East in collaboration with Hitachi Asia R&D Centre. The centre will initially start with around 10 researchers. It aims to double the number by the 2015 fiscal year. The firm, however, did not disclose how much it has invested or plans to invest on the R&D centre. “Local production and joint businesses with local partners have already commenced in business areas such as construction machinery, air-conditioning equipment, thermal power generation and information control systems," it said. The company said setting up the R&D centre is in line with its “new globalization plan", based on six centers across the globe - in Japan, North America, Europe, China, South-east Asia and India.